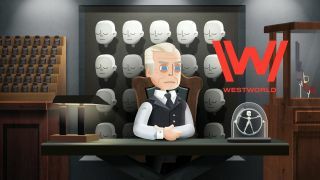 Behaviour Interactive's Westworld mobile game, which Bethesda called a "blatant rip-off" of Fallout Shelter in a lawsuit filed last June, has been removed from stores. As Behaviour Interactive said in a statement on Twitter, the game is no longer available for download and will officially close on April 16. In-game purchases have also been disabled, so any players holding premium currency should spend it (or refund it, if possible) before April 16. "We are sorry to see the Westworld mobile game go, and had an incredible time creating new content and events for players to enjoy," Behaviour Interactive said. "We deeply appreciate our community's enthusiasm and participation in the game." Bethesda's lawsuit alleged that Behaviour Interactive's game used "the same copyrighted code" as Fallout Shelter and featured "the same or highly similar game design, art style, animations, features and other gameplay elements." Not only that, Bethesda said so much had been copied that an obscure camera bug seen in early builds of Fallout Shelter also appeared in the Westworld game. To its credit, Bethesda certainly knows its bugs. The lawsuit was seeking damages and compensation as well as the removal of the mobile game from all app stores. However, earlier this month Bethesda announced that the matter had been "amicably resolved" out of court. It would seem that the app's removal was an agreed-upon part of that resolution, or perhaps Behaviour Interactive just had to concede so much ground that maintaining the game wasn't feasible. Either way, the game is gone, as Bethesda originally wanted. Bethesda previously went after Minecraft developer Mojang over their card game, Scrolls. Can you guess why?